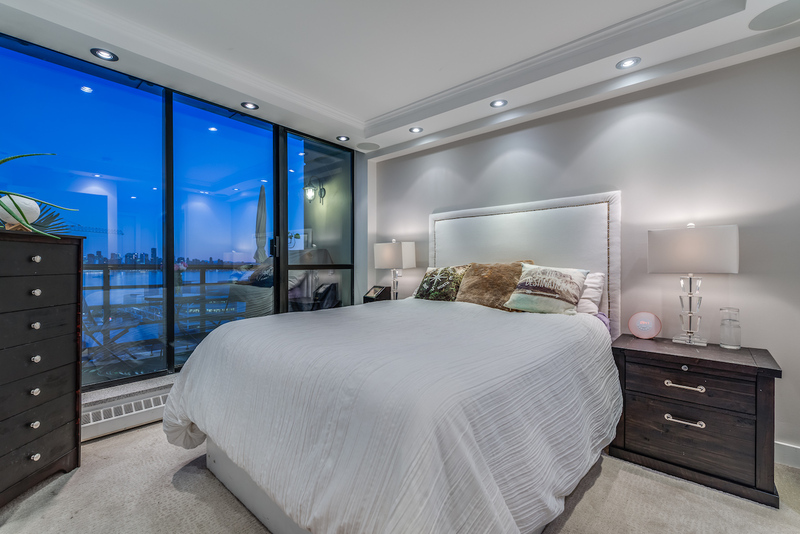 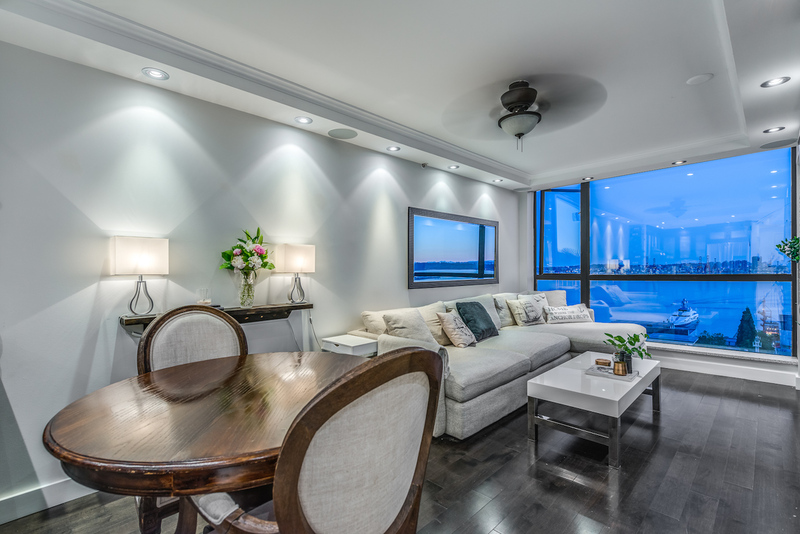 SPECTACULAR CITY AND OCEAN VIEW 1 BEDROOM + DEN AT THE Q! 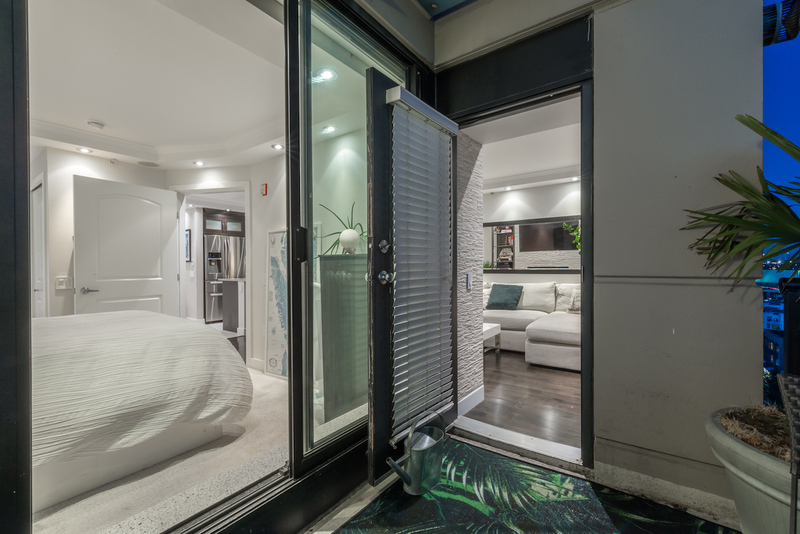 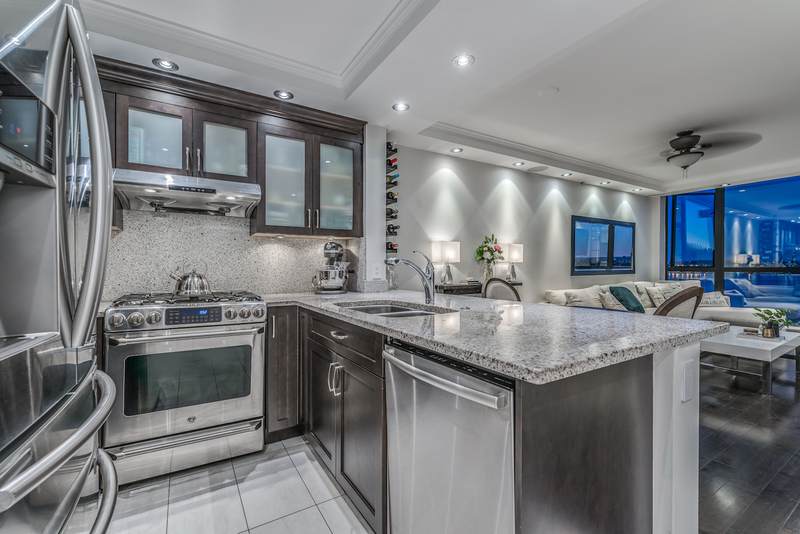 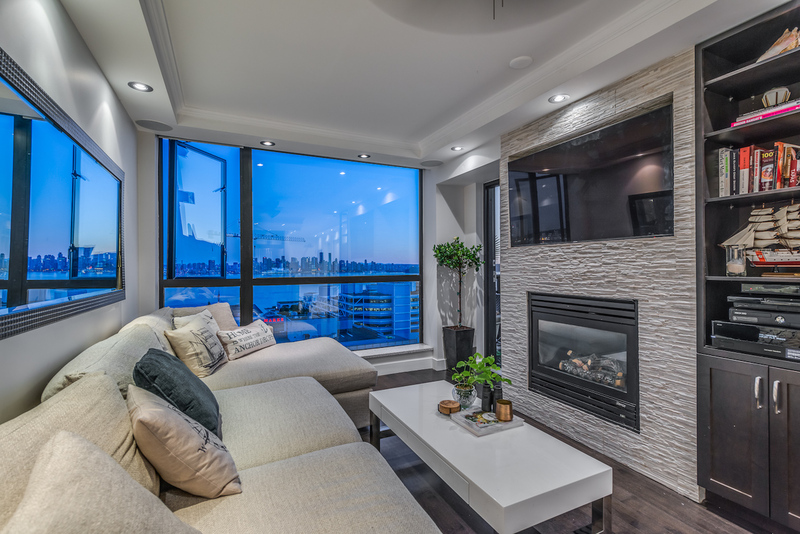 We are proud to present an incredible opportunity for this one of a kind sub-penthouse at The Q in Lower Lonsdale! 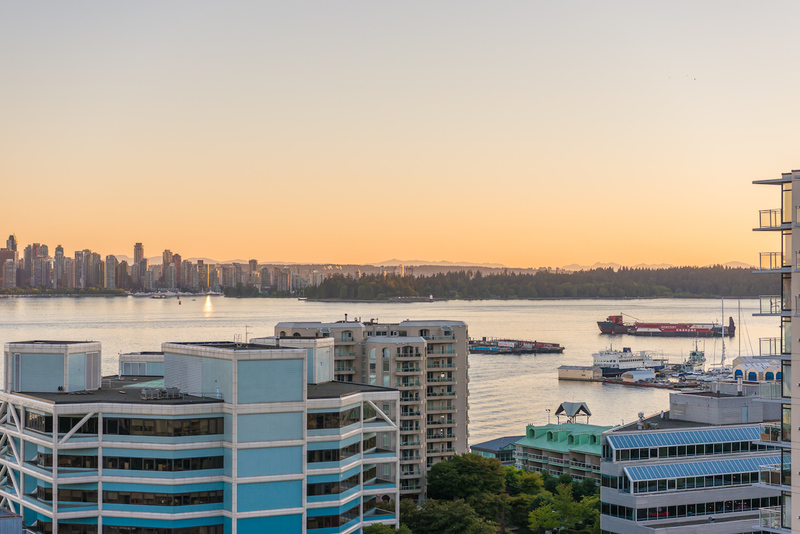 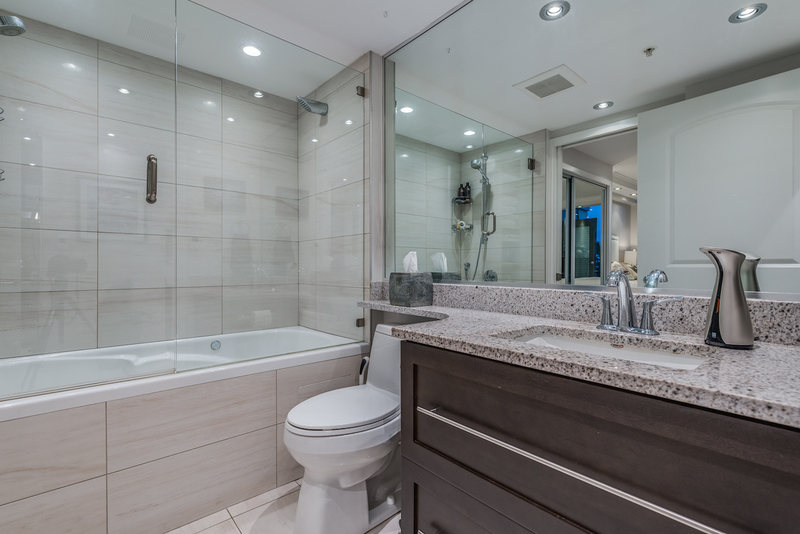 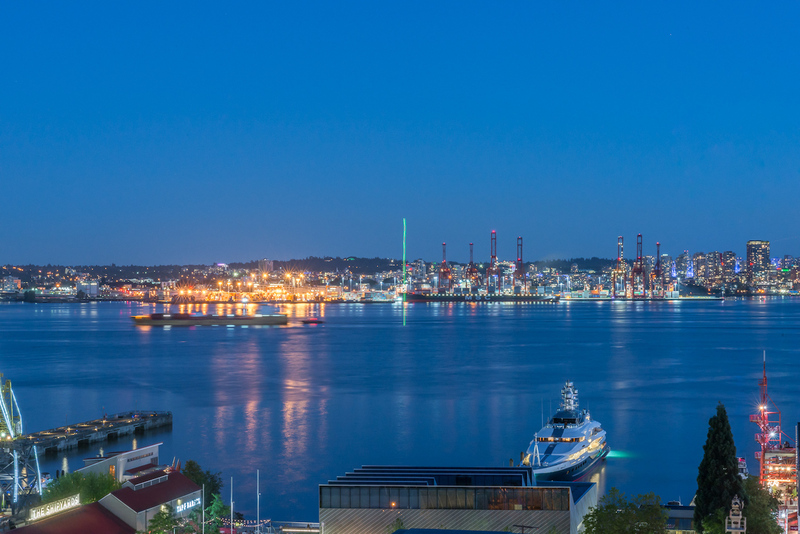 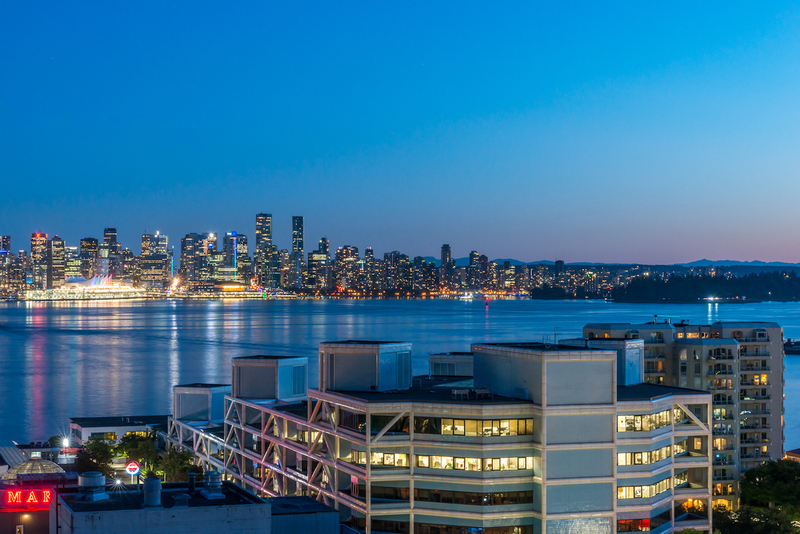 This completely and beautifully renovated 1 bedroom and den features the finest panoramic views North Van has to offer. 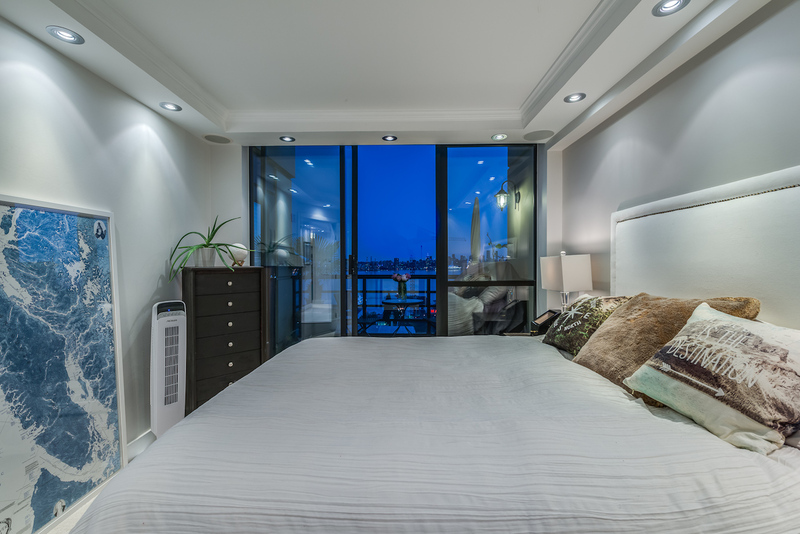 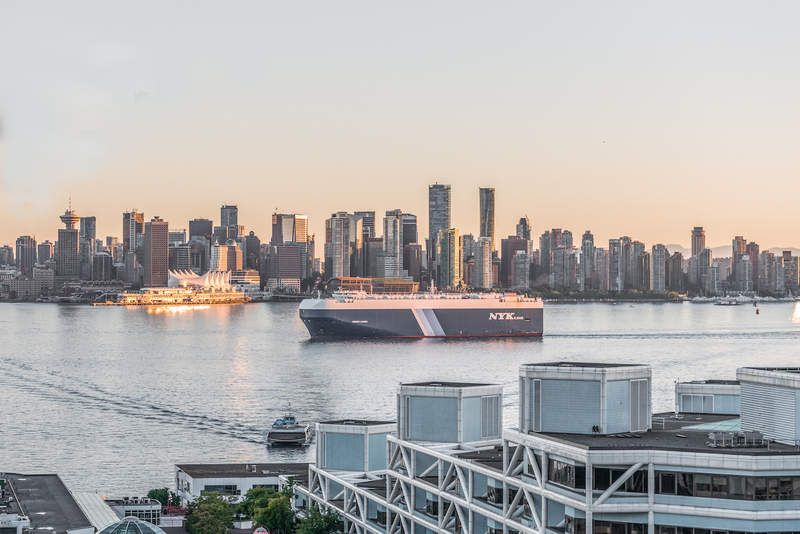 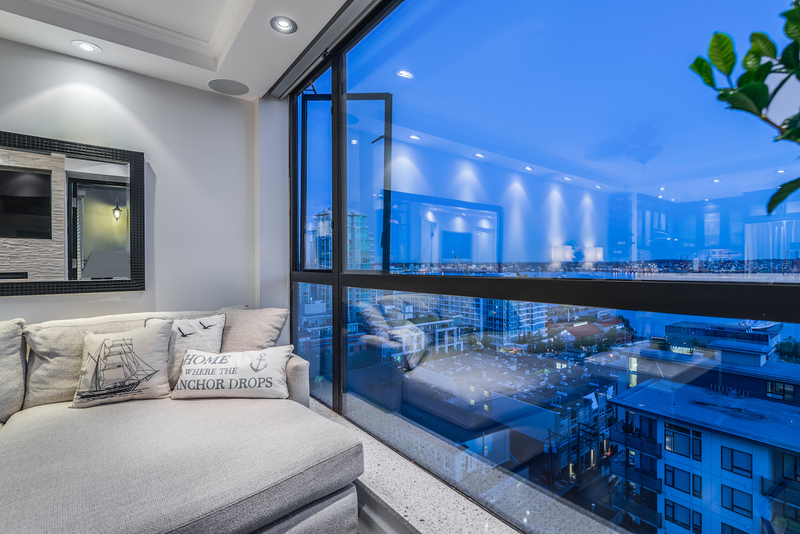 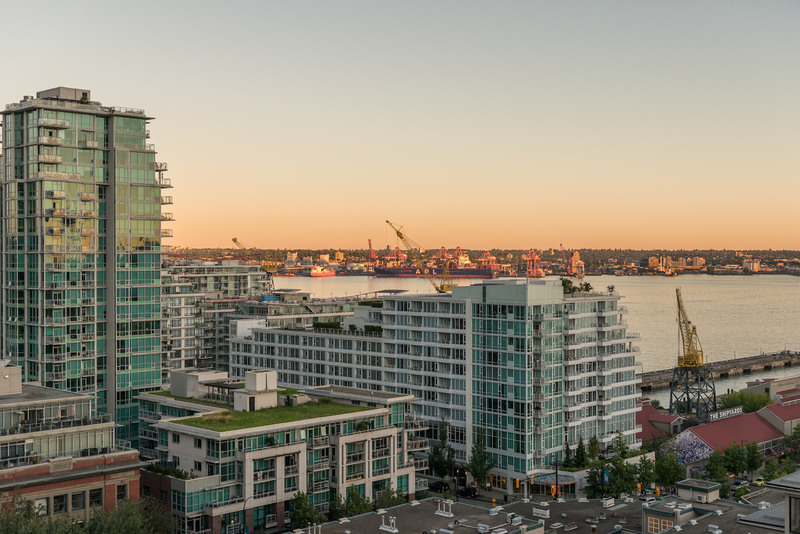 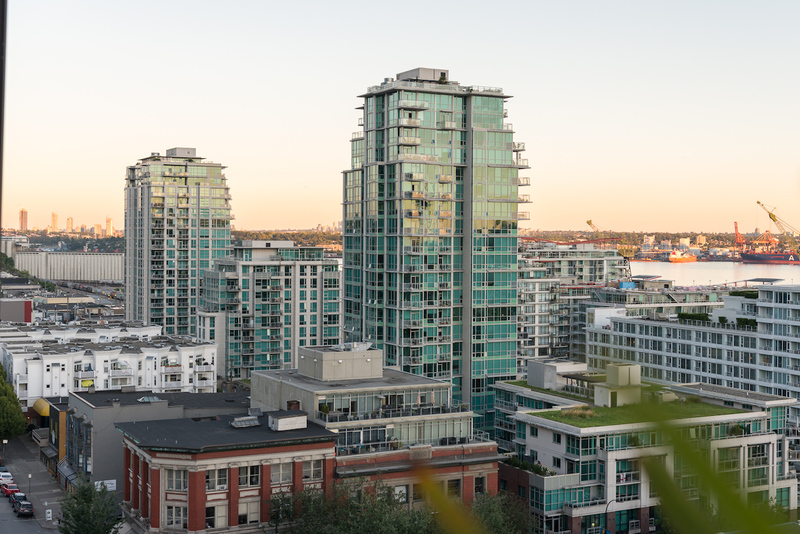 South facing exposure with complete privacy and iconic views of the Vancouver skyline, inner harbour, and Lower Lonsdale waterfront. 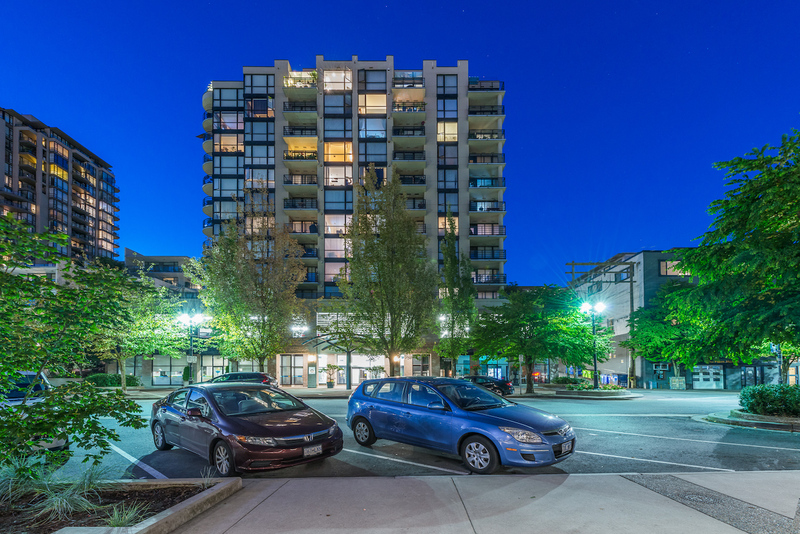 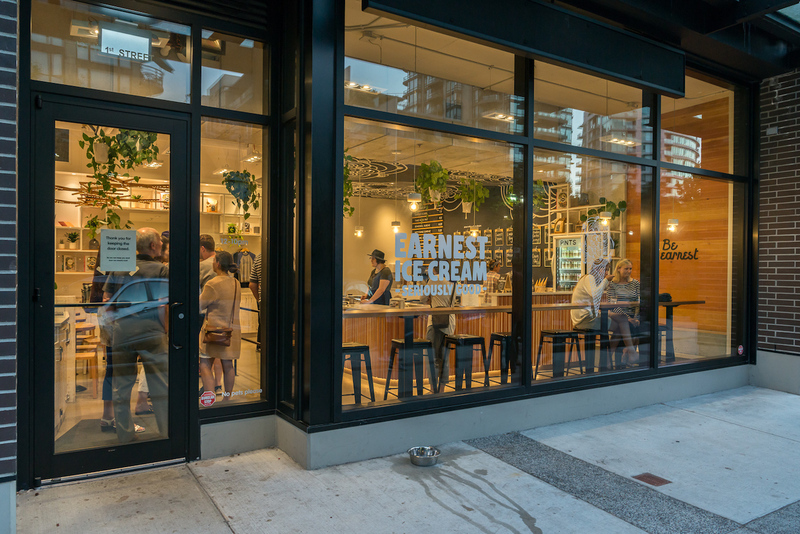 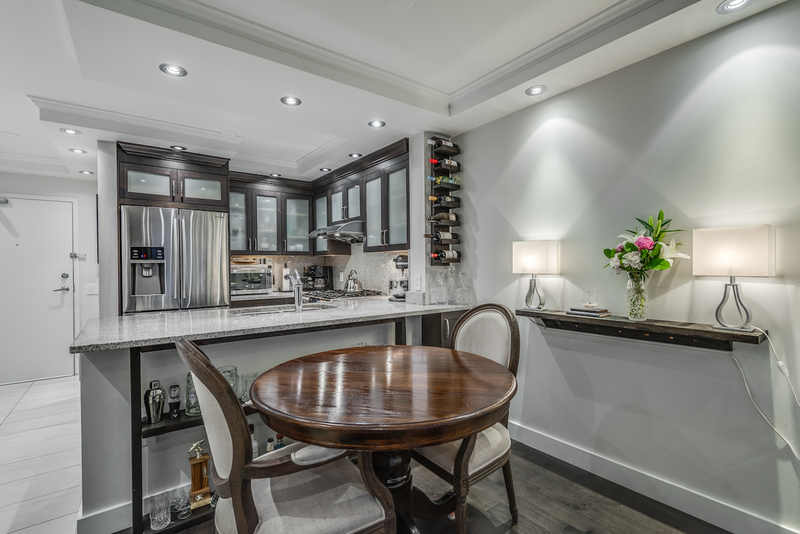 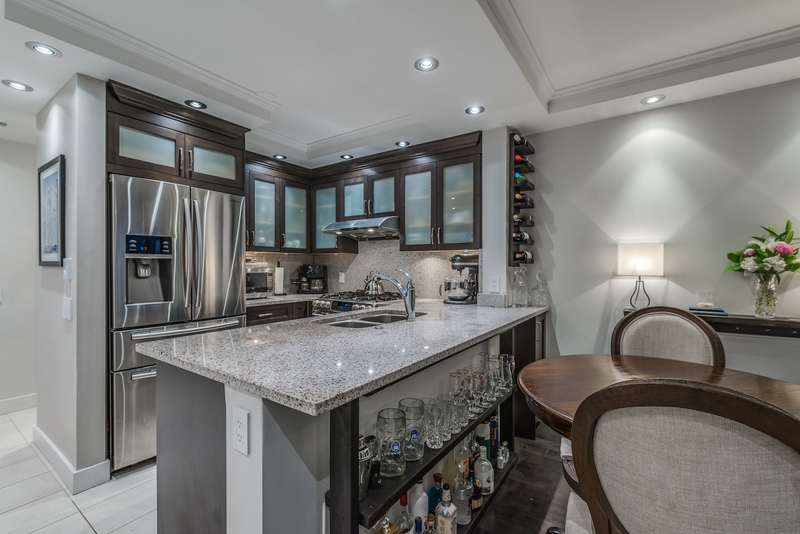 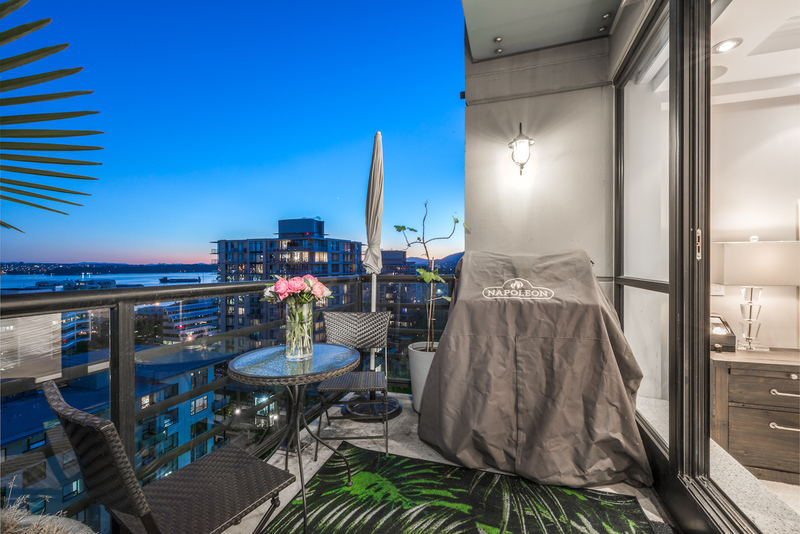 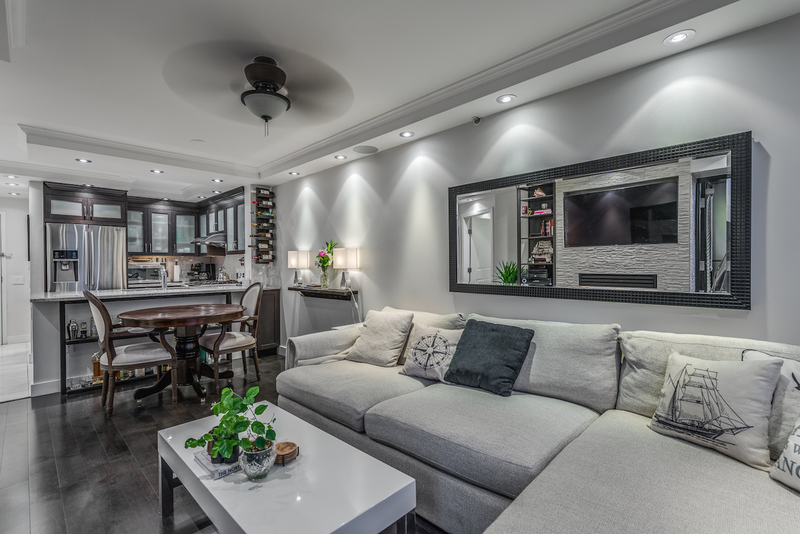 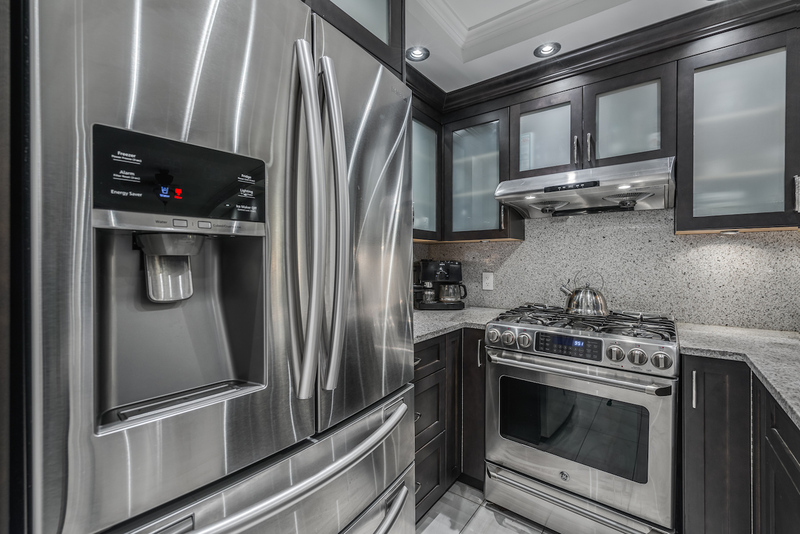 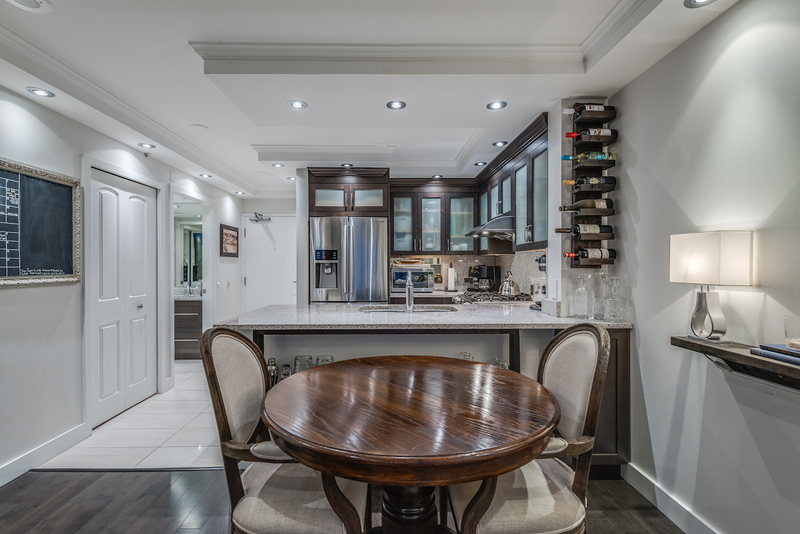 Located on sought after West 1st Street with fine dining, recreation, shopping, Lonsdale Quay, and the SeaBus at your door step. 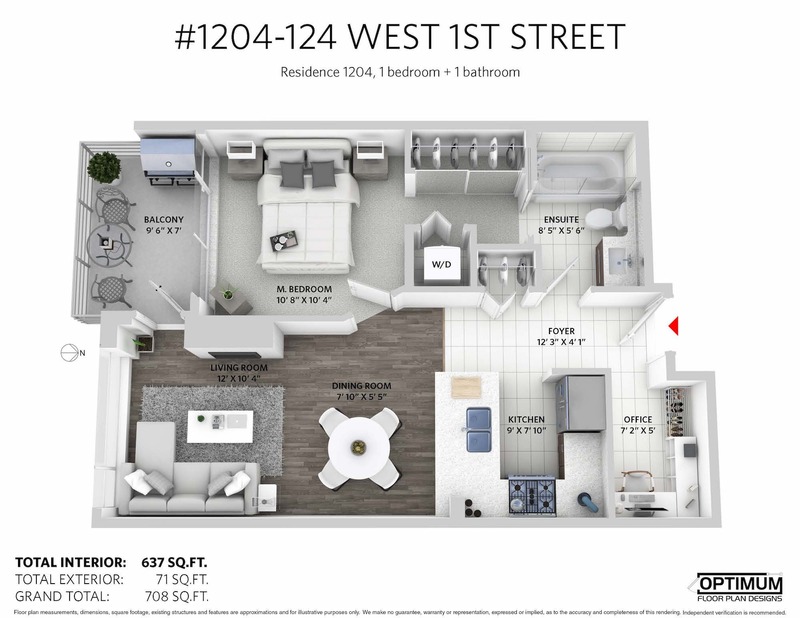 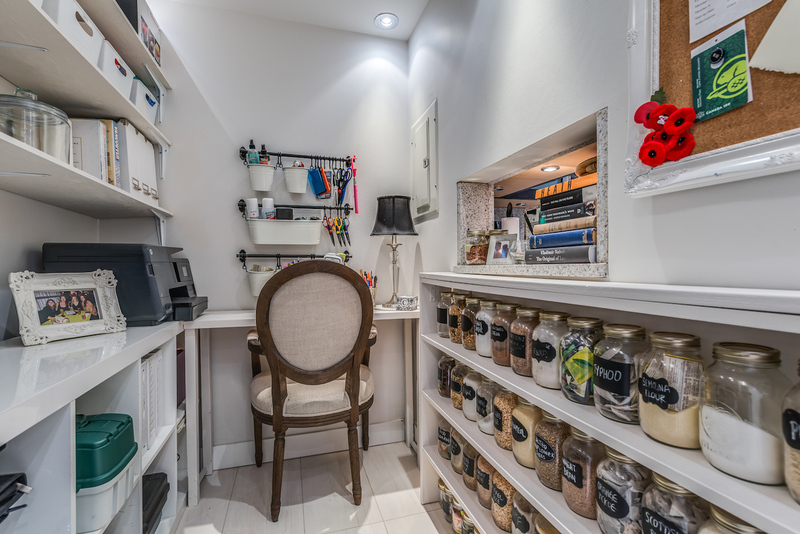 Very unique property with no unit above you, a large balcony, and thoughtful upgrades throughout. 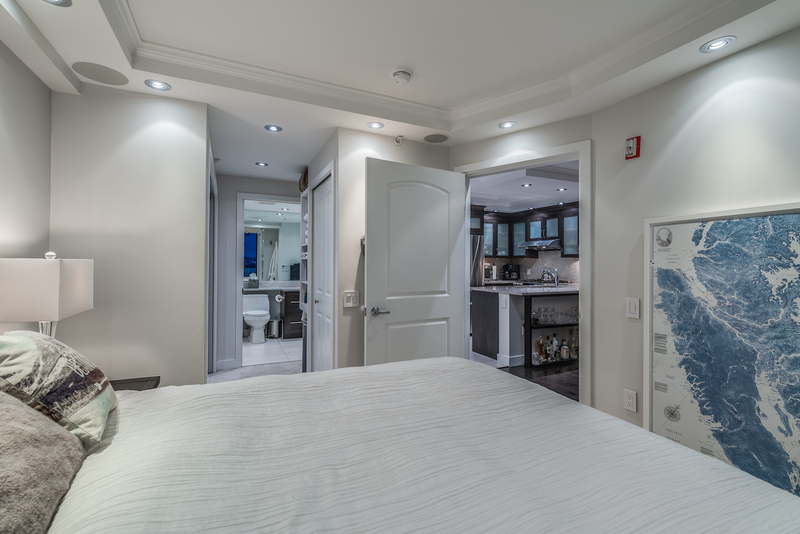 Featuring custom, dimmer controlled LED lighting, a gourmet kitchen with granite countertops and backsplash and dual oven gas range, a spa-like ensuite with jetted bath tub and dual shower heads, heated tile flooring, gas fireplace with custom built-ins and a stone feature wall, built-in surround sound system, automatic black out roller blinds, a built-in office, and beautiful hardwood floors.